But if I did write a book on branding I would call it Disruptively Consistent. And if it sold well I would bring out a sequel called Consistently Disruptive. The concept is the same whichever way you write it and I fundamentally believe that this paradoxical concept is at the very center of all great brand strategy. Let me explain with one of my favorite case studies. In 2002, office retailer Staples had a problem. Its original positioning of offering the widest ranges at the lowest prices had worked so well against small, independent competitors that it had almost wiped them out. The problem for Staples was that this same positioning was now failing to differentiate it against its two remaining large national rivals – Office World and Office Depot. Worse still, the pricing part of that promise was now leading to some less than attractive margins as it went head to head with these two big competitors. When Shira Goodman took over as Staples CMO, she quickly realized she had to come up with a new position for the brand given the current approach was no longer working. After months of research, the decision was made to focus away from price and range, given that they had become points of parity, and focus instead on an association that none of the big three players currently owned – easy. Staples would make buying office products easy. Staples set about this new positioning challenge with vigor. It created a new logo with “that was easy” under the logo. 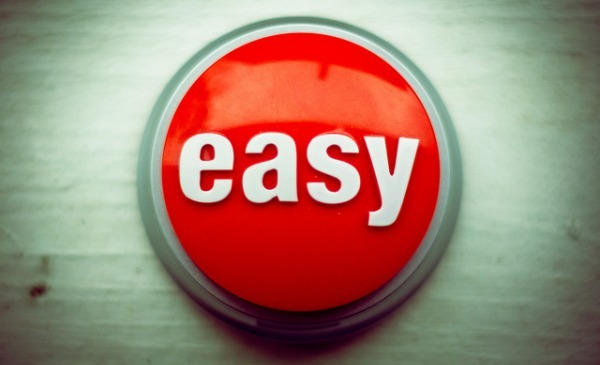 It created the now famous Easy Button as a symbol. It launched a series of ads in which customers were shown being rescued from the complicated hell of office products by Staples and its Easy Button. It even launched an Invention Quest competition in which a prize was awarded each year for an entrepreneur who invented an office product that would make life easier for consumers. All completely on brand. But it was the smallest and most subtle change that made the most impact. When Goodman reviewed the existing design of the Staples stores, she noticed that all the most popular products were right at the back of the store. When she inquired further she was told that this was standard retail practice. In a supermarket, for example, milk is always at the back of the store because that ensures that consumers are exposed to additional products, some of which they hopefully put into their cart. And it was the same with office retail. It was just the way that retailing was done. But Goodman realized this was not easy. It was the exact opposite of that. And she began to move all the best-selling products to the front of the store to make the Staples experience easier. Staples would lose a little in ancillary sales, but it would win the bigger and more important battle of brand differentiation. And it worked. Today Staples stands as the undisputed market leader in office products. Staples’ regular brand tracking now reveals the brand owns the association of ‘easy’ and that has driven enormous market share gains. The central message of branding holds the challenge of doing two things well. First, ensuring that the positioning is applied steadfastly and without exception. Second, breaking as many rules as possible within the business to achieve that end. Or disruptively consistent as my never-to-be written book would put it. The Staples story is a great case study of brand activation in action: take a simple promise to customers, communicate it effectively and operationalize it throughout the organization.